Is your commercial real estate AN ASSET OR A LIABILITY? Professional Property Management can help ensure value. Ciminelli Real Estate Corporation currently manages a portfolio of over 7.6M square feet in New York State including assets from 4,000 sq. ft. to over 350,000 sq. ft. We provide service to this footprint 24 hours a day, 7 days a week. 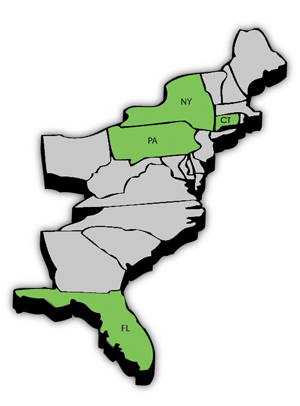 Ciminelli also has offices in Philadelphia,PA, Pittsburgh, Pa, Tampa, FL, and Manchester, CT. Read more. Ciminelli's corporate headquarters are located just outside Buffalo, NY. In addition, we employ a full staff of real estate professionals in regional offices across the state of New York. We know the local market, the vendors and suppliers, and have the in-house expertise to deliver timely results with a high level of service. Our maintenance team and our service vehicles can be seen throughout NYS and in your community. Read more.